On November 20th CERTH conducted some successful pilots in Greece. The pilots were partly recorded for a show of the national broadcaster ERT3 and the show is now available on stream video! 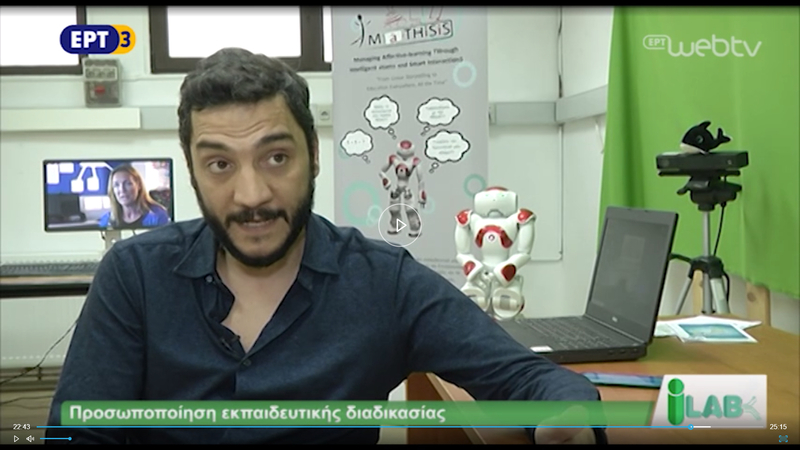 In the premise of this show, the technical manager Dr. Nicholas Vretos presented MaTHiSiS while the children were piloting, and also gave an in-depth interview regarding the project. In addition, the speech therapist that supervised the children spoke on the benefits and added value that the MaTHiSiS platform brings to her classroom. Click on the image above to watch the show. The relevant part starts at the 17th minute.